Edgar Allen Poe was born in 1809. Poe was a poet, author, and literary critic. He is one of the leading authors of the Romantic period. His tales of the macabre have delighted and scared readers. He is considered the founder of the detective/fiction genre and contributed to the popularity of science fiction. 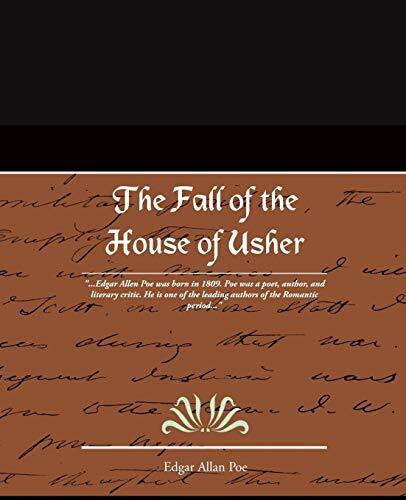 In The Fall of the House of Usher a visitor realizes that there is a terrible malady within the house. When the narrator arrives at his friend's house he realizes that Usher is ill. His symptoms include hyperesthsia (hyper sensitivity to light, sound, and smells), and acute anxiety. Usher believes that the house can feel and sense things. The story progresses and the plot winds and twists until the reader is caught up in this malevolent house. This is a story not to be read on a stormy night while sitting alone in an old squeaky house with shadows!